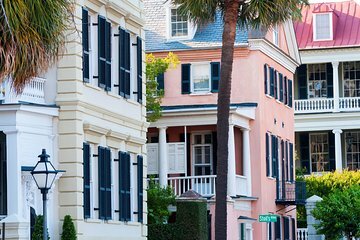 This guided, narrated, educational tour of historic Charleston, South Carolina begins at the north side of the Old Exchange and Provost Dungeon, a colonial building with a 300-year history featuring pirates, patriots and presidents alike, located at 122 East Bay Street. Visit the city’s oftentimes forgotten alleys and hidden passages that barely pass for streets at all. See points of interest like Rainbow Row, the longest cluster of Georgian row houses in the United States. See the Dubose Heyward House and Cabbage (or Catfish) Row, the Heyward-Washington House museum and much more, including a trio of historic churches: St. Michael's Episcopal Church, the Huguenot Church and St. Philip's Episcopal Church. There’s also McCrady's restaurant, where George Washington dined in 1791; the stately homes of Stoll’s Alley, plus Dueler’s (or Philadelphia) Alley, Unity Alley, and plenty more on this relaxing stroll.